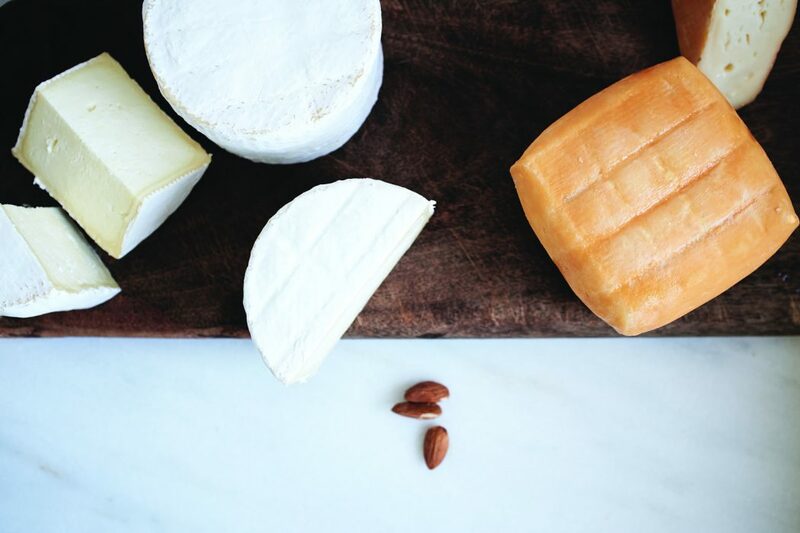 Unwrapping the palate-pleasing perks of local cheeses. There’s nothing quite like the taste of fresh, quality cheese. Putting those sometimes dry, oftentimes gummy “grocery store” options to shame, locally produced artisan cheeses impress with complex flavorings, textural subtleties and optimum ripeness. But, most importantly, they are the direct result of a great deal of tender, loving care. In the case of the following rising-star cheeses, the proof is in the pudding—or, if you prefer, the reward is in the rind. 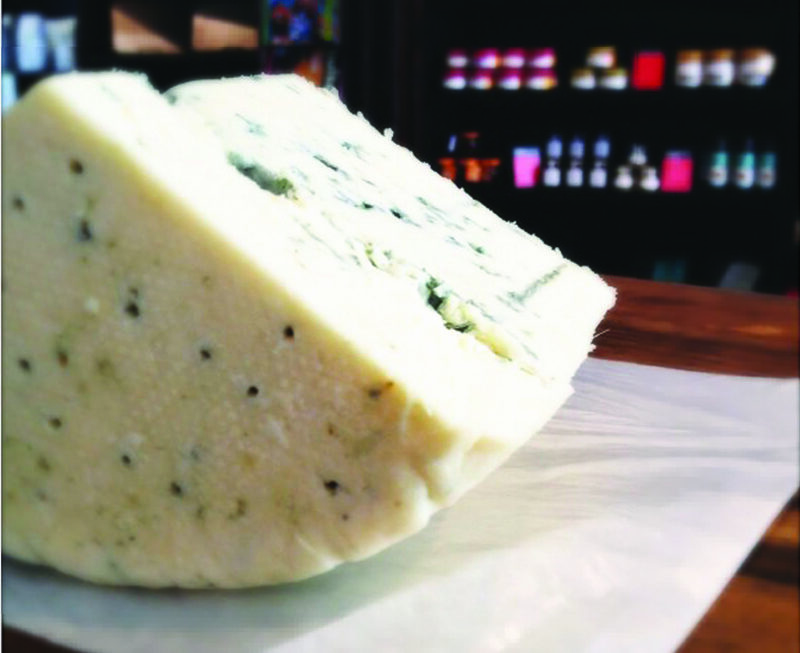 Tim Stone started his cheese-making business, Great Hill Blue, 16 years ago at Great Hill Dairy in Marion, Mass. The farm had been in his family since the early 1900s, run by his great-grandfather first and his grandfather after that. Stone restarted the dairy with Guernsey cows in the mid-1980s but couldn’t make a living as a dairy farmer so he sold the herd. He heats the milk and adds cultures and a liquid form of mold. Once the cheese coagulates, the curd is cut and stirred until the desired consistency is reached, at which time the whey is drained off. Each cheese form is hand-filled to ensure proper whey expulsion and curd structure. The resulting six-pound wheels are aged for at least four to six months. Great Hill processes cheese three times a week and makes 1,200 pounds per day. 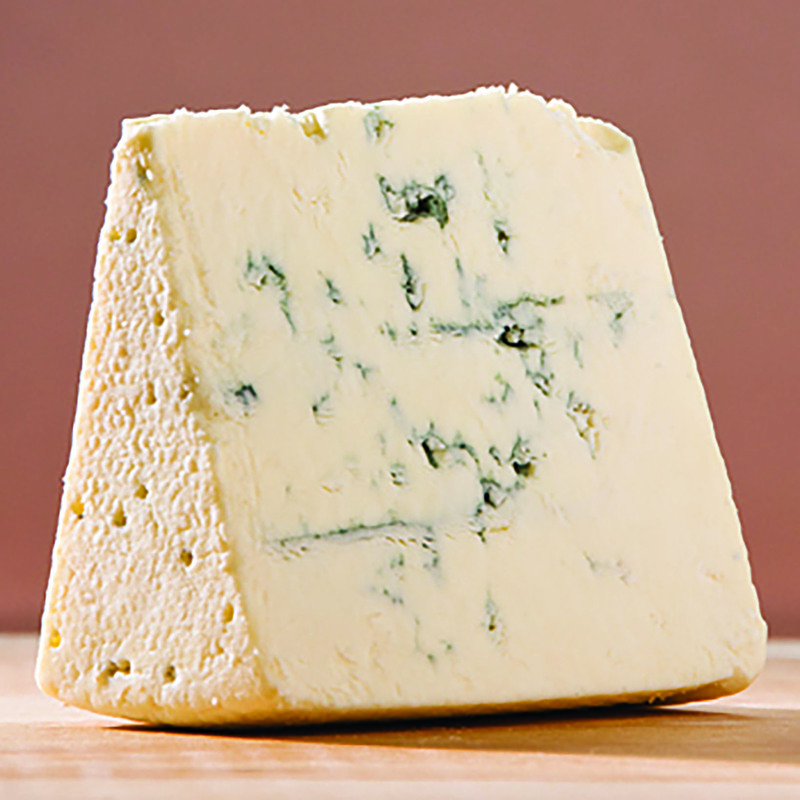 Compared to varieties augmented by bleach or food colorings, Great Hill Blue presents a slightly more dense, yellow curd and is a favorite of many restaurants. 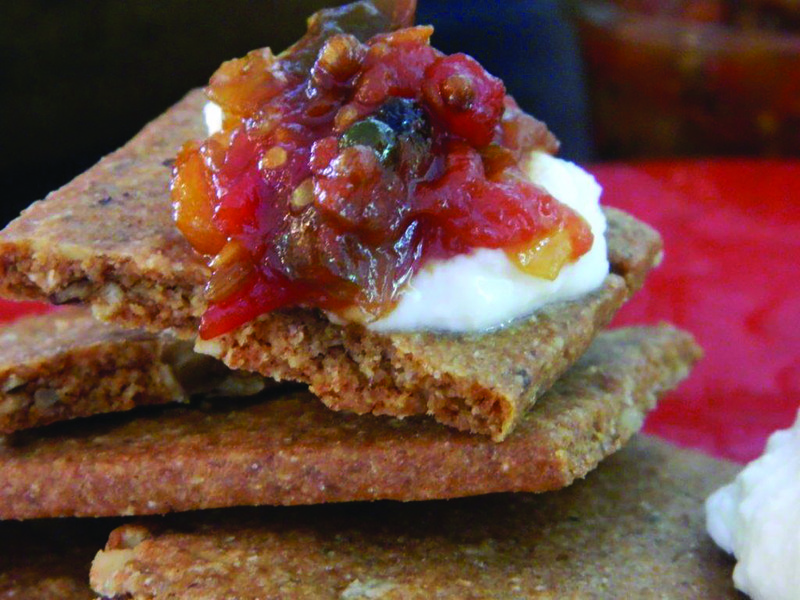 It’s particularly delicious used raw on crackers, in salads and dressings or melted on top of filet mignon. 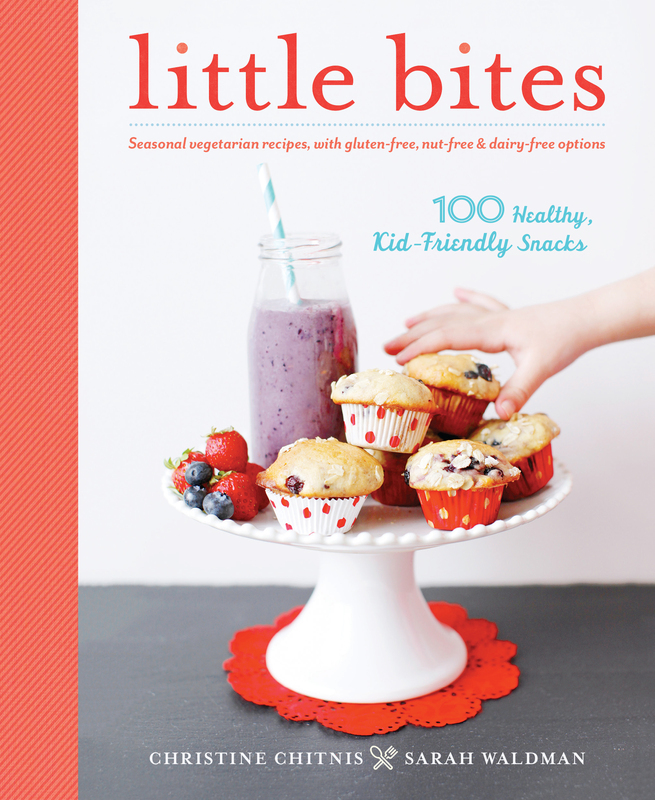 Available at select retail outlets or order online. 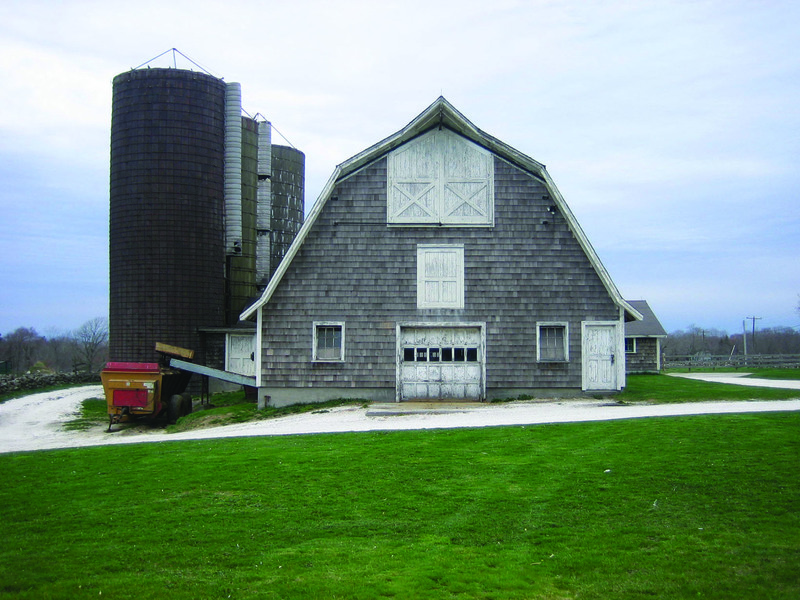 Like Great Hill Dairy, Shy Brothers Farm in Westport, Mass., has been in the same family for three generations. Owned by the Santos brothers—two sets of fraternal twins five years apart in age—the farm was solely a dairy farm until 2006. When Arthur, Norman, Kevin and Karl Santos couldn’t survive on milk sales alone, they decided to diversify and turned to cheesemaking. 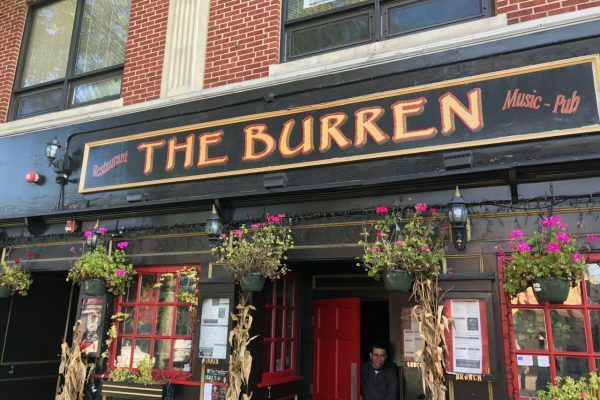 Family friend Barbara Hanley volunteered to help the farm thrive as a business and traveled with Karl to a cheesemaking workshop in New Hampshire. They then spent two weeks in France visiting farmers and producers—it was this trip that inspired Karl to begin their venture with tiny artisanal cheeses that the French call boutons de coulottes (trouser buttons) but that the Shy Brothers call Hannahbells (after their mom). Shaped like a thimble, these molded rind cheeses are small in size but big on taste and have landed a variety of first-place awards. They are available in four flavors: classic French, lavender bud, rosemary and shallot. While Karl makes his cheeses at a creamery in Dartmouth, his brothers tend to the Westport farm and its 120 dairy cows. The herd is a mix of Holstein, Ayrshire and Jersey cows, but the farm is moving towards switching entirely to the Ayrshire breed. “I think the flavor of the milk is better, and the fat molecules are smaller and that just works better for my cheese,” says Karl. The Massachusetts Cheese Guild is made up of artisan cheesemakers, cheese enthusiasts and members of the trade. Its 21 cheesemakers—working with non-chemically corrected milk that is different every day—have won more awards combined than any other state in the nation. Visit its website to learn more about these talented producers and their products. As the guild points out, buying locally made cheese supports local farmers and also helps stabilize over 5,000 acres of pastureland in the Commonwealth. Before becoming organic farmers, Eric Glasgow worked in the corporate world for 15 years, and his wife, Molly, a Pratt Institute graduate, worked as a designer. When Eric decided to leave his job, the pair toyed with the idea of farming, and even more specifically, of owning a farm on Martha’s Vineyard, where they had summered with their two young boys for years. Well aware of the island’s successful core of small vegetable farms, they decided that dairy and meat needed better representation. They put themselves through extensive research and training before making the leap and buying the Chilmark property in 2009. By March 2010, they had their first three Dutch Belted cows—a hardy, dual-purpose breed that is a great milk producer. “Our herd of 25 ladies supplies us with both milk and beef,” explains Molly. “They are friendly, intelligent and curious creatures with a beautiful white belt around their middle. They produce about four and a half gallons of delicious milk on grass alone and many of them continue producing into their teens,” she adds. 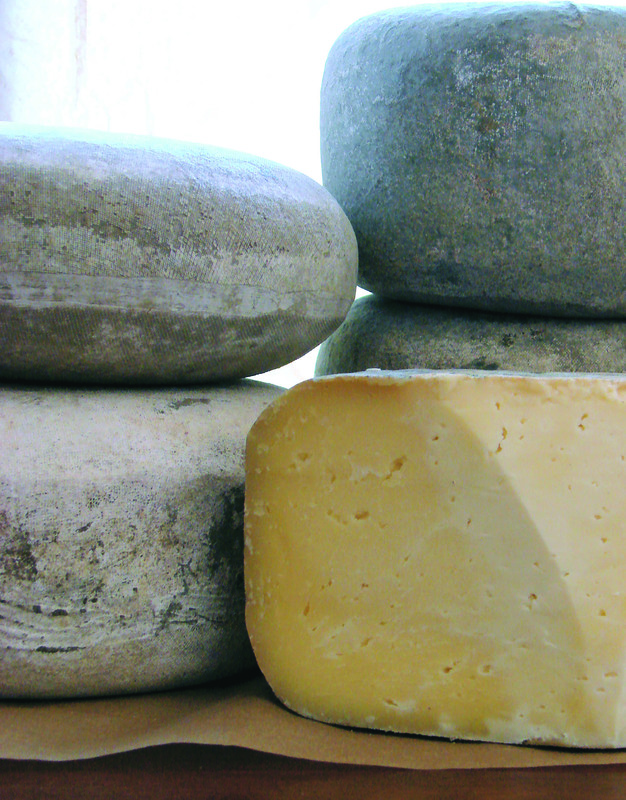 When the Glasgows decided to make cheese, they looked for producing regions with similar climates to Martha’s Vineyard and found them in Northwest France and Southern Ireland, where traditional washed-rind cheeses are prevalent. 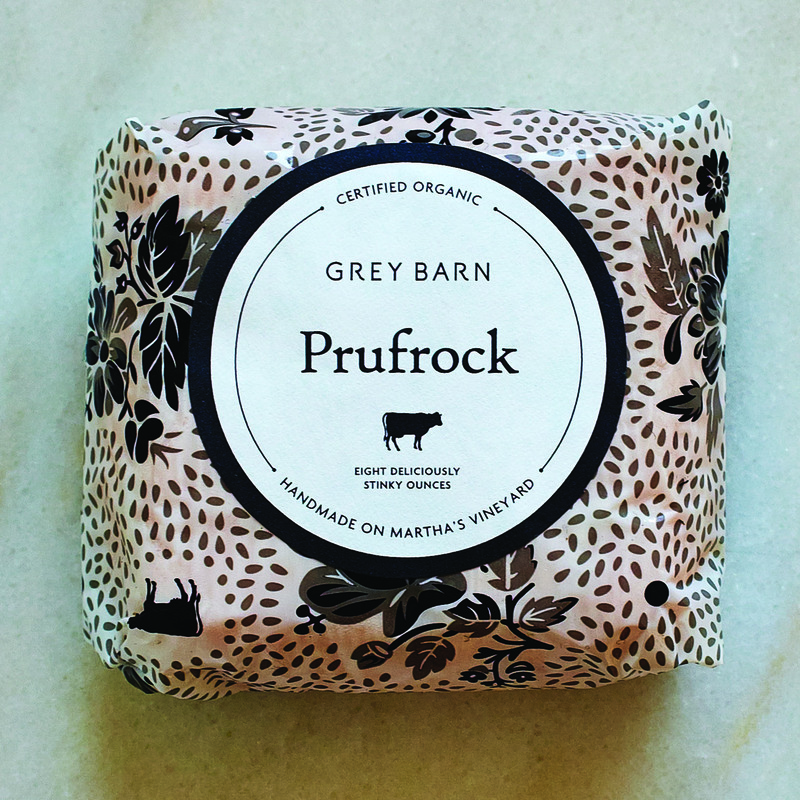 The couple’s own washed-rind cheese is called Prufrock, which begins as a curd that is ladled by hand into square molds and flipped several times. After a night of rest, the cheese is placed in a brine bath and then transferred to a cheese cellar, where it is carefully tended via washing and flipping for six weeks before leaving the farm. 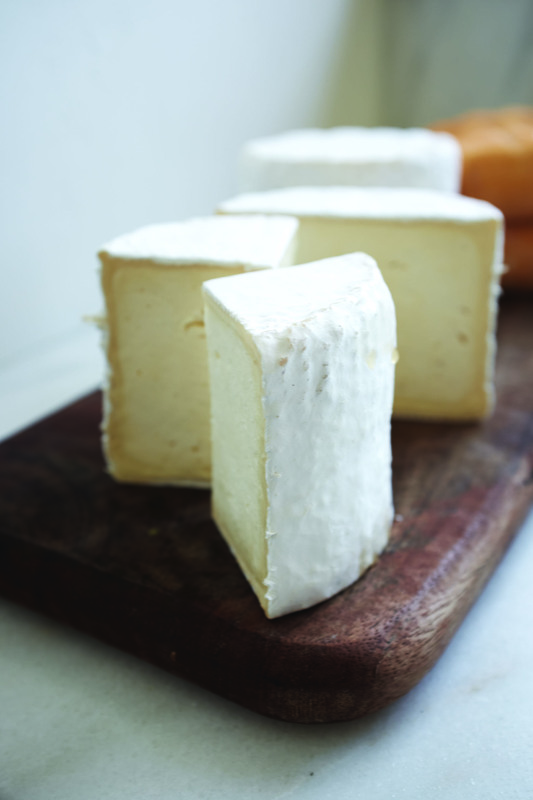 “The final result is a supple, stinky cheese with a rustic orange rind,” says Molly. 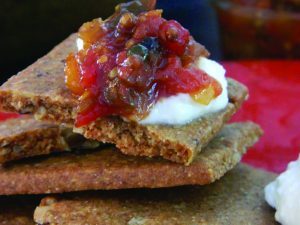 “Its golden paste is thick yet soft, with toasty, nutty flavorings. 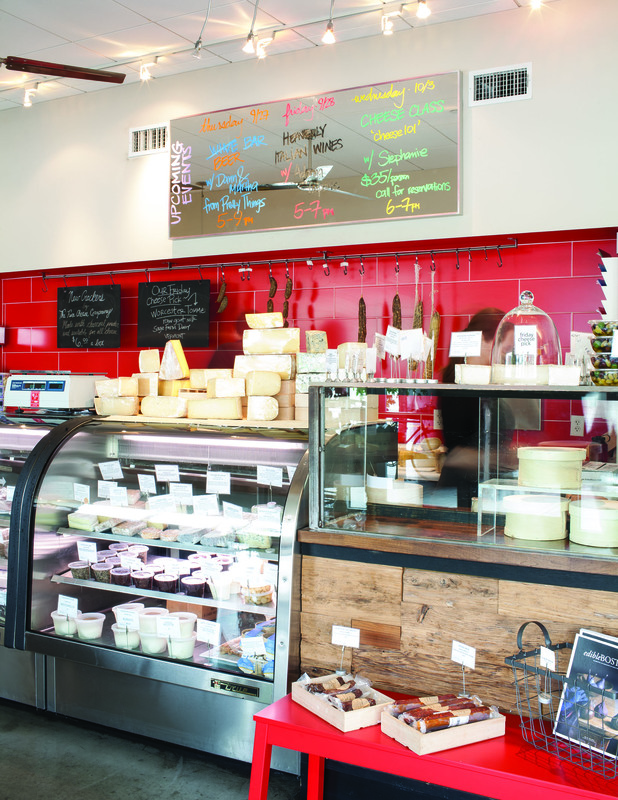 In Providence, Narragansett Creamery makes 12 different kinds of cheese. 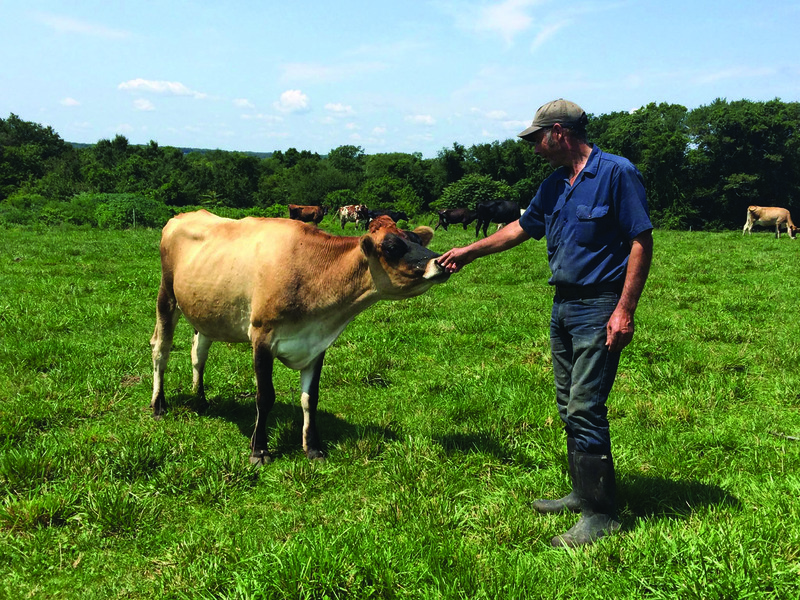 Owner and cheesemaker Mark Federico uses high-quality milk from small family farms with cows that are not treated with antibiotics or bovine growth hormone. The milk is delivered fresh every day and turned into cheese in less than 24 hours. 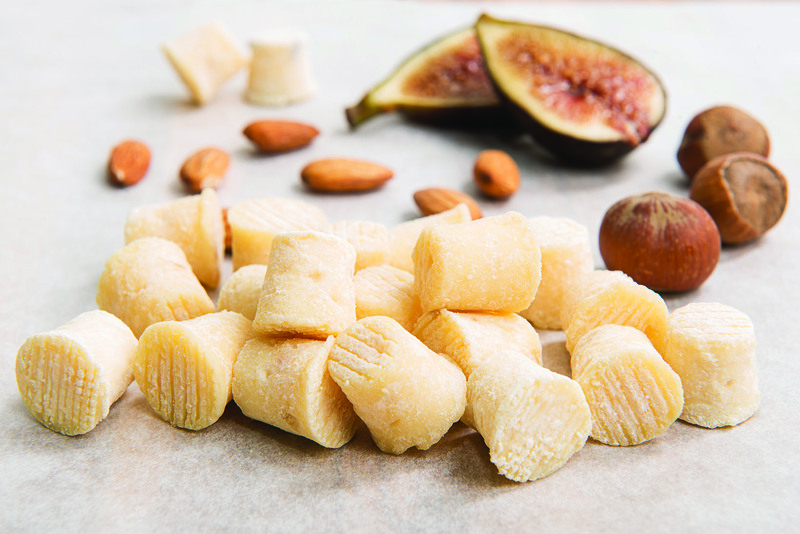 “We have a variety of cheeses, from soft versions like fresh ricotta and mozzarella to harder options like Atwood’s Gold, which is like an Asiago, and Divine Providence, which is a natural rind gouda,” says Federico, whose family is deeply rooted in the food industry. His grandparents owned The People’s Market, considered Providence’s first supermarket, in the 1940s, and he grew up stacking produce in his parents’ New Haven grocery store. Federico and his wife, Pattie, formed Narragansett Creamery in 2007 as an artisan brand under their umbrella company, Providence Specialty Products. 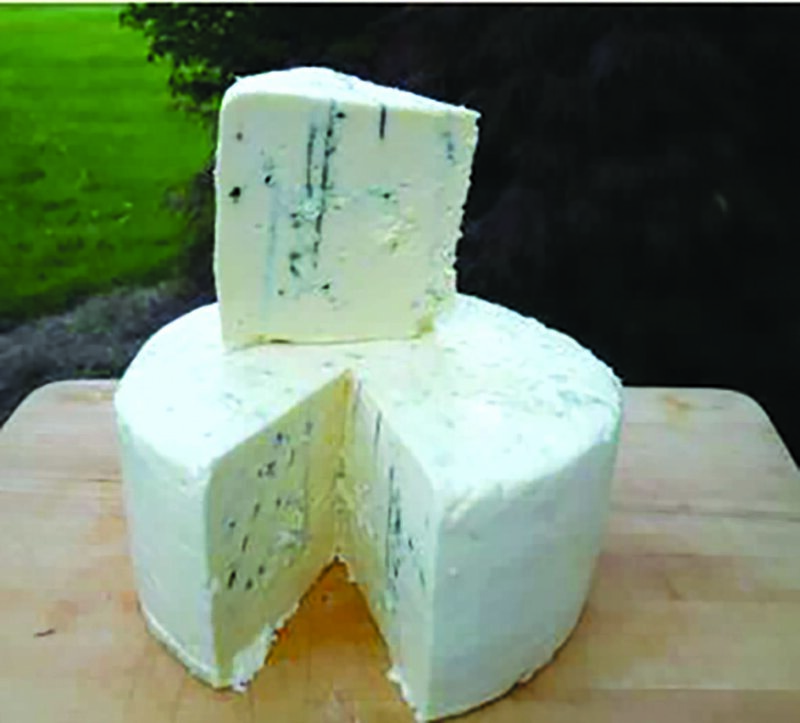 Two Narragansett Creamery cheeses have won the Wisconsin Cheese Makers Association’s United States and World Championships: their sea salt feta and whole milk ricotta.